That's the top of my complete set for getting 45 individual rings in the diamond giveaway. I haven't broken the cellophane on the box, don't know if I'm going to or not... any suggestions? 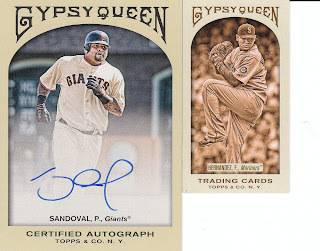 Next up, I was lucky (I got a tip from a a guy at the LCS) to find two blasters of Gypsy Queen at a local store (just in case any Mobile-ians are reading, I don't want to give it away) and the two best cards I got are below (and both for trade). 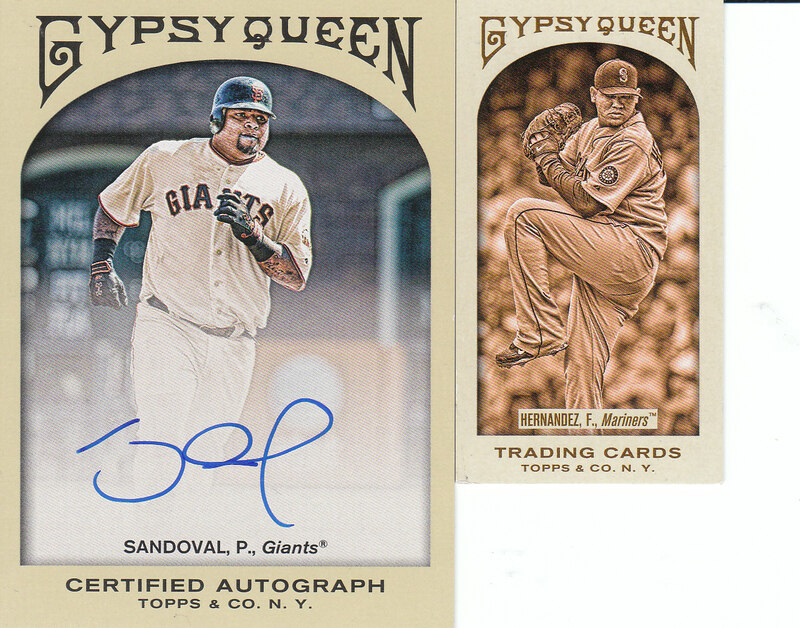 Although I am amassing quite a Felix Hernandez player collection, I may have to rethink whether I want to trade these away, however in the mean time, they are in the trade binder and on the trade list! Finally, I got a package from Julie over at Things Are Funner Here. 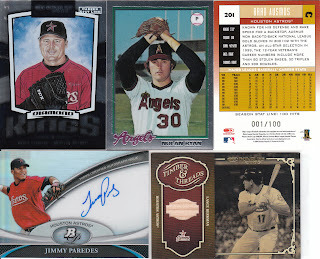 I sent her a quad relic including Roy Halladay, and I got this awesomeness (amongst other cards) in return! That Paredes kid is hopefully going to be great, and we snagged him from the Yanks in the Berkman trade, thanks Mr. Cashman. The Nolan Ryan is freakin' sweet!!! I put the Ausmus back up (don't worry, hopefully the last Ausmus card I'll ever post) because it is an e-bay 1/1... numbered 1/100!!! Sweet!!! I'm not too sure what the "season stat line" thing is, because on Roger Clemens' card back, it says "Career Stat Line: 541 RBI". There is no way on earth Roger drove in 541 runs in his career... don't know where they pulled that number from...but that card is numbered 199/328! Always love some low serial numbered cards! And the Berkman relic, I love it! Classic Berkman batting stance in the photo too. That brings my Berkman auto/jersey/hit count to about 30, that's a lot of hits for one player, although I'm still lacking great patches or autos from Lance, would love to get a Triple Threads of Lance from his Astros days... (hint, hint, for anyone holding one of those!!!!) Thanks Julie, keep up the great work over there at your blog!!!!! Can you set the mini Hernandez aside for me?